Hello and welcome to the Sarah Hurley 365 inspiration blog. 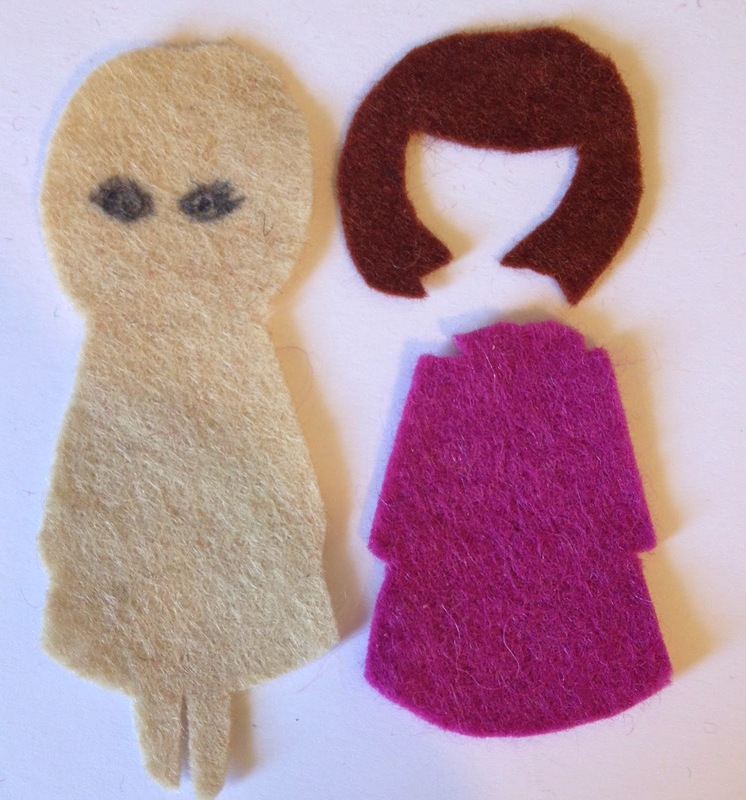 It's Clare here today, where I'll be demonstrating how you can make your very own Doodle Doll felt bookmark. It's really simple to make and if you have children why don't you get them involved too! 1- Using the black Memento Ink pad and a clear acrylic block stamp the Doodle Doll girl image twice onto white paper. 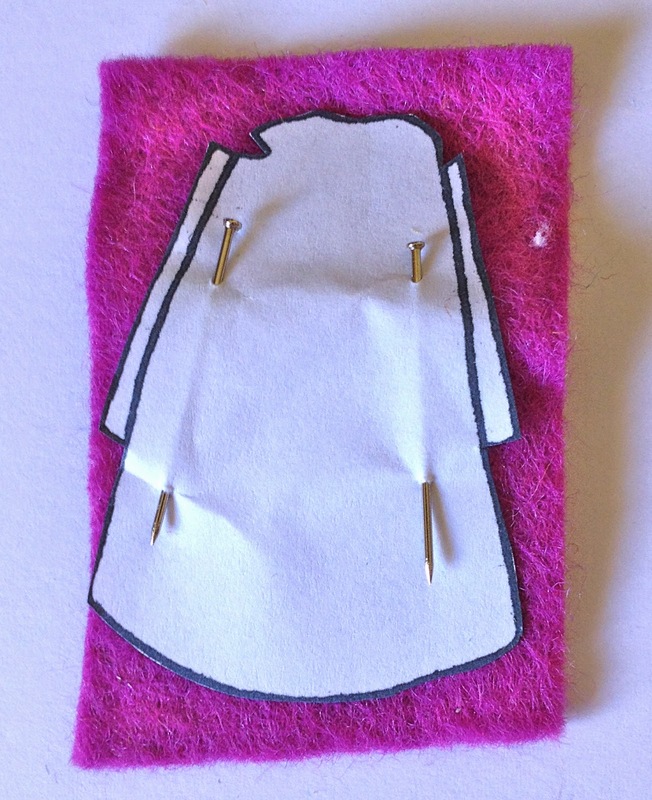 3 - Using dressmaker pins attach your templates onto felt. I used a pale beige for the body, brown for the hair and a plum colour for the dress. 4 - Next cut out your templates. - You can now remove the pins and templates. 5 - Take the eyes stamp, pop it onto a small acrylic block, ink it up with Memento Black ink stamp then stamp it directly onto the felt. 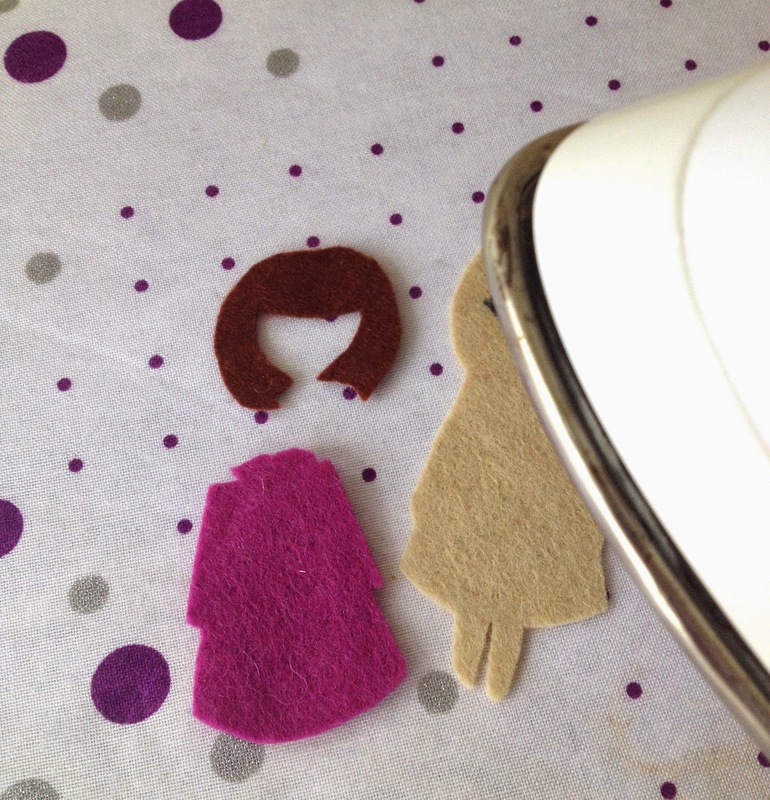 6 - If your felt is a little creased you can iron it flat on a cool setting. 7 - Using your craft glue fix the hair and dress felt piece to the body. Set aside. 1 - Take a piece of blue felt 5cm x 14cm and place the Tim Holts border die on top (left hand side), then run it through a die cutting machine. 2 - Next cut the blue felt into a rectangle shape measuring 4.5cm x 13.5. Set aside. 3 - Take a small strip of green felt about 5cm x 2 1/2cm and cut slits to create grass, remembering not to cut all the way down. 4 - Die cut some white felt clouds. 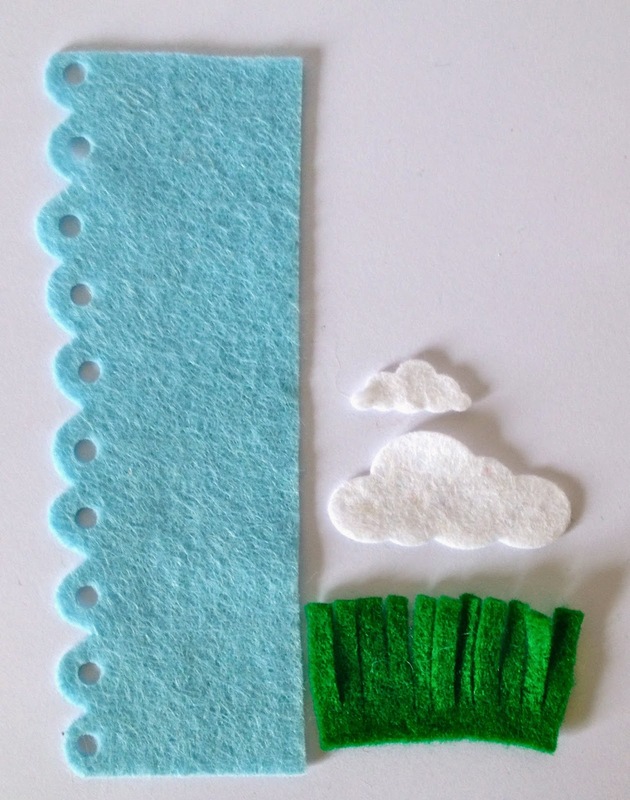 5 - Add some glue to the bottom half only of the grass strip, then attach it to the bookmark. 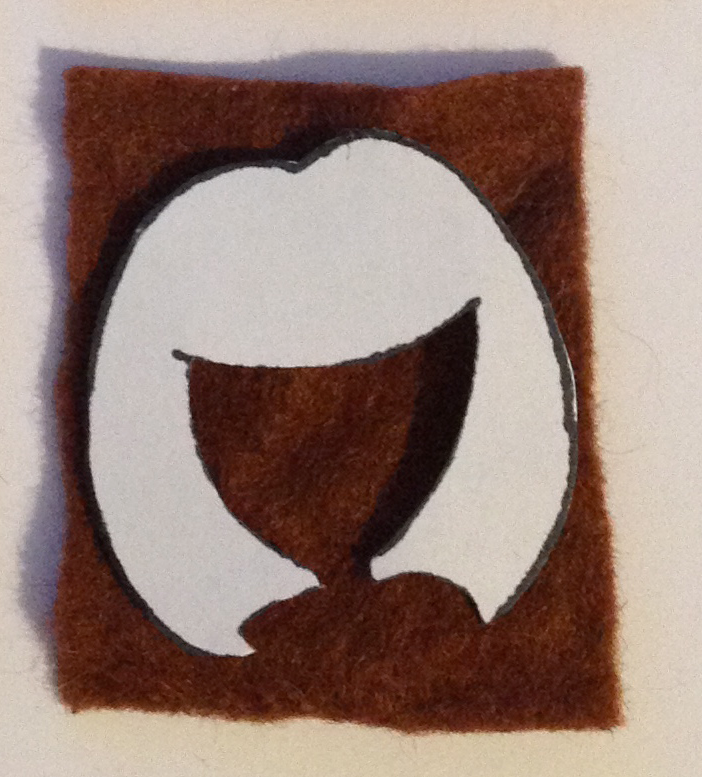 6 - Next take the felt doll, add craft glue to the back of it, placing it slightly behind the grass. Press down firmly. 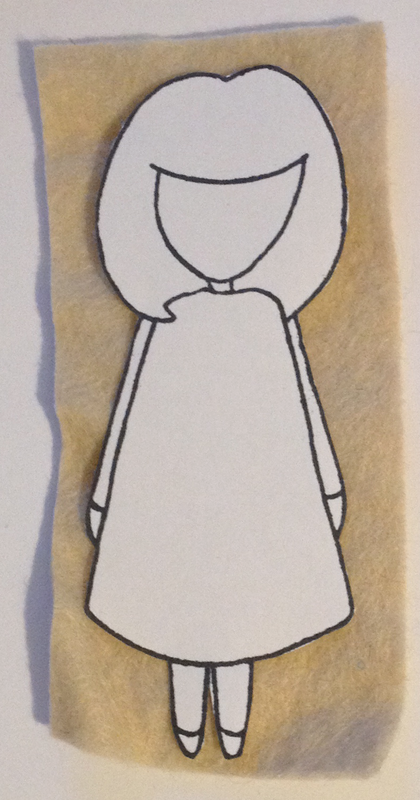 8 - You should now have a Doodle Doll felt bookmark. I hope you have enjoyed todays inspirations. If you would like to win this book mark just leave a comment below, winner will be announced 31st May over on my blog. Stencils and Doodle Doll colouring fun! An easy and fun journal page.